LOS ANGELES - "Get Out," a horror thriller that examines US race relations, won the top honor at the Independent Spirit Awards on Saturday, independent film's biggest prize and the final awards ceremony ahead of the Oscars. 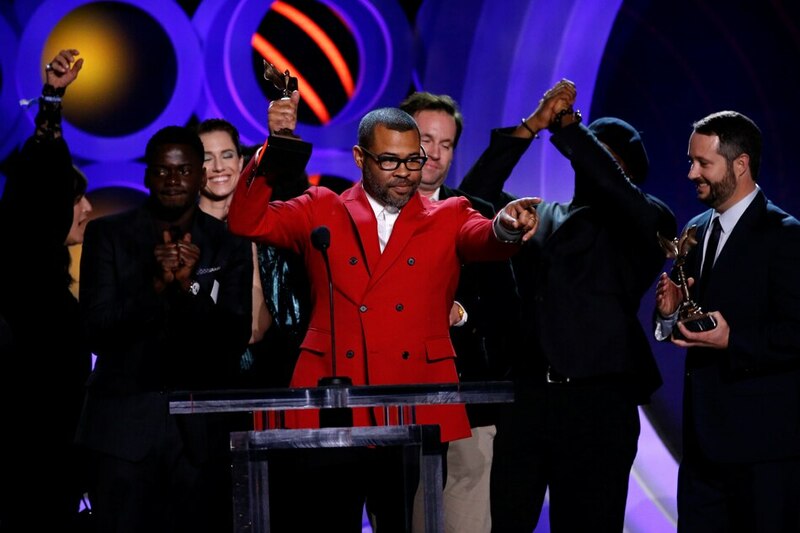 Jordan Peele, a comedian who wrote and directed the film, also won best director at the annual awards that recognizes the year's best independent achievements made on small budgets. "This means so much," Peele said accepting the best feature award. "We are in the beginning of a renaissance right now, where stories from the outsider ... are being honored and recognized and celebrated," Peele added. "Get Out," which tells the story of a young black man who visits his white girlfriend's family as a racial satire, was a box office juggernaut for Comcast Corp's Universal Pictures, grossing $176 million at US and Canadian theaters. The film has earned 4 Oscar nominations, including best picture, best director, best original screenplay and best actor for Daniel Kaluuya. The last 4 winners of the Spirit Awards' top prize - "Moonlight," "Spotlight," "Birdman" and "12 Years a Slave" - all went on to win the best picture Oscar, which will be awarded on Sunday. Frances McDormand, who has so far swept all major awards for her role as an aggrieved mother in "Three Billboards Outside Ebbing, Missouri," won best actress at the casual beach-side ceremony. She is also tipped to win the Academy Award. Timothée Chalamet, the 22-year-old star of "Call Me By Your Name," a coming-of-age drama about 2 young men falling in love, won the Spirit Awards' best actor. Allison Janney, who has won all top awards as an abusive mother in biopic "I, Tonya" won best supporting actress while Sam Rockwell won best supporting actor for his part as a racist, alcoholic police officer in "Three Billboards." Greta Gerwig won best screenplay for her coming-of-age tale "Lady Bird," which has earned five Oscar nods.